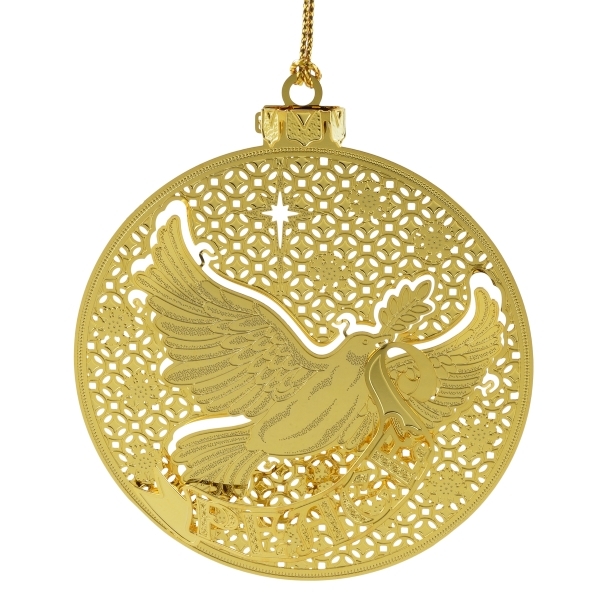 The dove carrying an olive branch is an age old symbol of peace and this Christmas ornament symbolizes perfect peace at Christmas and year round. The artists hand tooled the ornament in to a medallion style from brass and then finished it with 24kt gold! We pack it in a lovely velvet lined box ready for gift wrapping.